Please note as of July 1st ALL Mattresses will incur a $40 per mattress charge. Therefore it is important to correctly specify your intended waste type because placement of other waste types may result in additional disposal charges after the skip is collected or may result in the bin not being collected until it is rectified – Eg asbestos in the bin with other waste. The table below provides some guidelines. If you have any doubt as to which waste type your waste belongs, please feel free to call us today and our experienced staff will happily assist you. Boxes, wood, cabinets, white goods, clothes, toys, carpet, furniture, plastics, cardboard, paper, steel, timber etc. Green waste, such as grass clippings, branches, woodchips and bark, wood,fence palings. Sand, Rubble and Bricks and all items on the ‘the following is never to be placed in a skip bin of any kind‘ list found below. 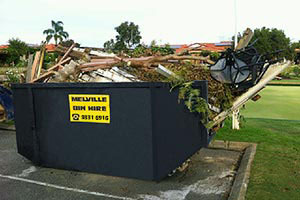 Waste from household clean-ups& renovations including bricks, concrete & general waste. See ‘the following is never to be placed in a skip bin of any kind‘ list found below. Clean bricks and concrete. To help the environment the Bricks and Concrete will be recycled but can NOT be polluted or contaminated with the following materials: dry non-hazardous solid waste, furniture, green waste, timber, pallets, paper, cardboard, plastic, strapping, mattresses, heavy and light gauge scrap metals, white good appliances, plasterboard, tiles, tyres, rocks, tree stumps. (Dry paints in cans are OK), gas bottles, empty chemical containers, car batteries and large tree trunks ( less than 1m diameter) or tyres. your bin may not be collected if your outside of these guidelines and a possible re collection fee may apply. All mattress now incur a $40 per mattress fee.